There is coverage in this morning’s Daily Mail, Times and Independent of a Freedom of Information request into the number of disposable cups bought in the last five years by the NHS and by central government departments. The government is committed to reducing its own use of single-use plastics. Throwaway culture has to stop and the 25 Year Environment Plan sets out how government is leading action to eliminate all avoidable plastic waste, including ensuring that central government departments and their agencies reduce the plastics they buy when current catering contracts come up for renewal. Defra’s own use of plastic continues to fall. 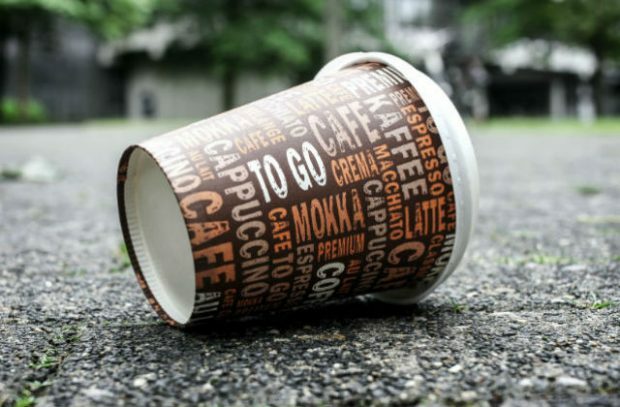 Since 2014, the number of disposable cups purchased by Defra’s facilities contractor has fallen by more than a third. And on 11 January 2018, at the Secretary of State’s request, all single use plastic water cups were removed from Defra and replaced with re-usable glasses. Defra’s current catering contract expires this summer and the tender for the new contract stipulates that any new supplier must not use plastic bottles and single use plastics. We are making great strides in cutting plastic use more widely – announcing plans for a deposit return scheme to increase recycling rates of drinks bottles and cans, taking nine billion plastic bags out of circulation with our 5p carrier bag charge and protecting wildlife from ingesting harmful plastic by introducing one of the world’s toughest bans on plastic microbeads. And just last week, a new report from the Centre for Environment, Fisheries and Aquaculture Science (Cefas) found that in all areas around the UK, the likelihood of nets bringing up plastic bags has more than halved since 2010. We are also asking for people’s views on whether further taxes and charges might help reduce the consumption of single-use plastics even more, through a call for evidence launched in the Spring Statement. The Sun, Daily Mail, Independent and Utility Week report on Ofwat’s proposals on how water companies can be better held to account. The regulator has explained that this is part of a concerted drive to bring change to the water sector and to tackle some of the practices that have been a cause for concern with customers. Some water companies appear to be focused too much on financial engineering at the expense of public service. Alongside this, we’ve seen significant service failures, most recently following last month’s cold snap and quick thaw, which led to tens of thousands of customers being left without water. All of these things have damaged trust in water. Ofwat has been pushing water companies to up their game for some time; but we need to go further, faster. Secretary of State Michael Gove wrote to the Ofwat chairman Jonson Cox back in February listing a number of specific concerns about the water sector and inviting Jonson Cox to review the current regulatory framework and offer his recommendations. This followed his speech, A water industry that works for everyone, where he spoke directly to the water sector about the changes needed. It is vital that concerns over poor corporate practice by the water companies are addressed. That is why the environment secretary asked Ofwat to investigate what action should be taken to ensure high standards and responsible behaviour. We are grateful for Ofwat’s report and will respond in due course. We welcome the Secretary of State and Ofwat’s call for water companies to act as diligently for their customers and the natural world as their owners. Since 2005, the water companies have invested billions in the environment but they are responsible for at least one serious pollution incident every week. They also need to do more to act on increased flood and drought risk from climate change, in line with the ambition of the government’s 25 Year Environment Plan.